The Shadow Bird has seen a number of owners who all have given him numerous special modifications. The YT-1300 freighter owes its legendary status not only to Han Solo and his co-pilot Chewbakka, but also to the infamous gambler and smuggler Lando Calrissian, who was faithfully served by the Millennium Falcon. To make sure Lando's Falcon doesn't look like Han Solo's Naboo Duckling soon, we have the right foam mat for safe storage. And because one falcon does not make a collection, all 3 Falcon models can be stowed here together. 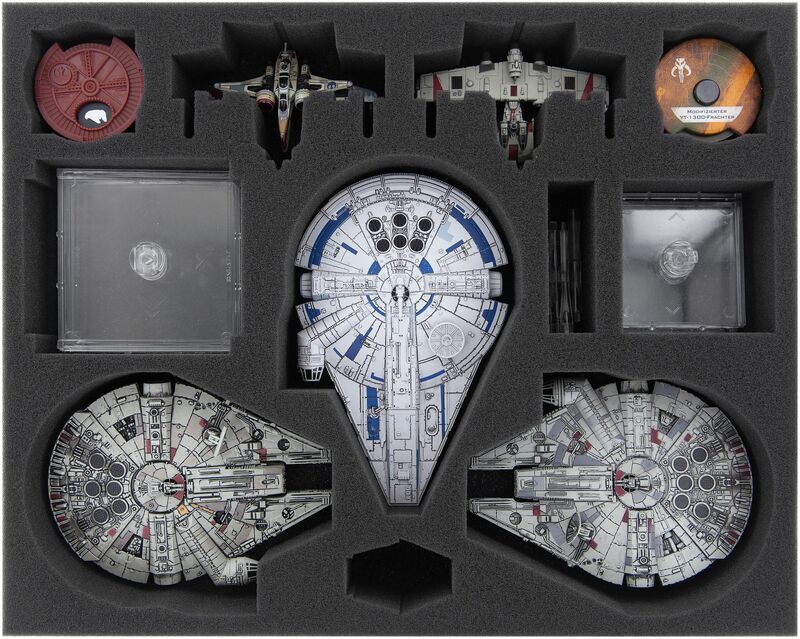 The foam tray is divided into 12 compartments, of which 3 are miniature-precise cut compartments for the Millenium Falcons. In the center, Landos Millennium Falcon from the Star Wars X-Wing 2nd Edition expansion pack finds a safe landing place. 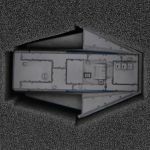 It fits in here with the docked Escape Craft, but the detachable miniature can also be stored separately from the ship in the small compartment provided for this purpose. The other two compartments fit the Millennium Falcons published by X-Wing so far. Your ships are best protected from damage and the paint stays without scratches, at least on Lando's. Additionally, there are two more custom-fit compartments where you can place the ARC-170, the Y-Wing or the HWK-290. 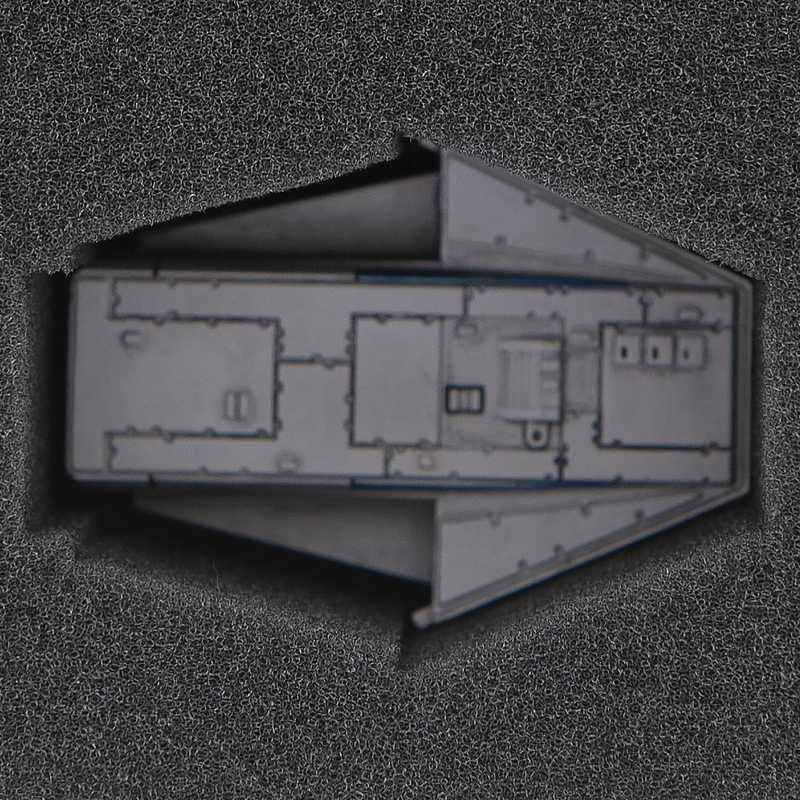 Beside the space for the miniatures, there are also compartments for the bases. One compartment offers space for up to 3 large bases and one compartment in which up to 3 medium-sized bases can be stored. The pegs also get their own compartment. There are still two compartments left for the Dials. These fit here with and without Upgrade. 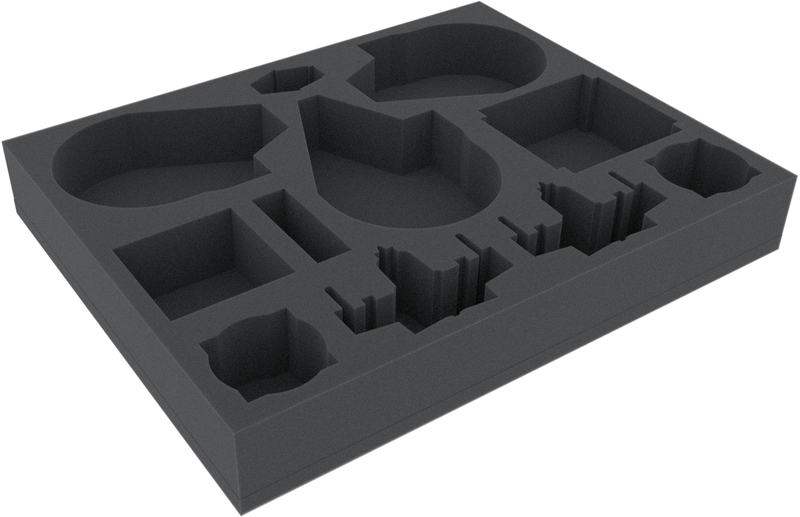 Small bases can also be placed in these compartments if required.